All white chiffon with crochet lace detailing. This dress was purchased in a medium & altered to fit my curves. 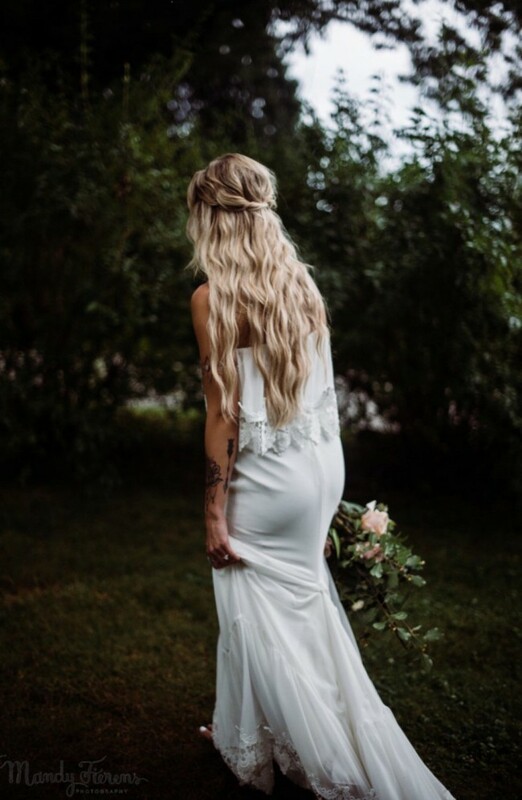 The length was altered for a barefoot bride. I am 5”7 and it was perfect. Small simple bussel for train. Creates a perfect boho vibe.